2018 was abundant in events important for the Polish poultry sector, affecting both the functioning of the domestic market and the industry’s international situation. Poland invariably occupies the position of a leading poultry producer in the European Union, and the new export prospects opening up are very promising. One of the greatest successes of 2018 was the reopening of the Chinese market to Polish poultry. Activities aimed at resuming exports to this market were among the priorities of the Ministry of Agriculture and Rural Development, the General Veterinary Inspectorate, as well as the National Poultry Council – Chamber of Commerce (KRD-IG). Prolonged efforts by the government administration and the representatives of our Chamber have borne fruit – in September 2018, after an interruption lasting a year and a half, Poland, as the sole EU country, has returned to the Chinese market. It is worth noting this market comprises approx. 1.4 billion consumers, thus providing enormous sales opportunities to Polish producers. China was not the only country to have reopened to our poultry. The ban on imports of Polish products, caused by the avian flu epidemic from the turn of 2016 and 2017, was also lifted by South Africa. In the opinion of the KRD-IG, this is the second most prospective outlet for Polish exporters, following China. However, a challenge the industry has to face is the import duties exceeding 35%, imposed on EU suppliers by South African authorities. High tariffs have an adverse impact on the profitability of Polish poultry imports to South Africa and limit the possibilities of exports to this country. The KRD-IG, jointly with a.v.e.c., an EU organization of poultry producers, conduct extensive activities intended to lower the tariff barrier for poultry exported from the EU to South Africa. Foreign sales are a very significant marketing direction for the Polish poultry industry. Currently, more than 50% of production is scheduled for export. 2017 saw 1,239,075,412 kg of Polish poultry being sent abroad. In 2018, between January and October, Poland already exported as much as 1,136,808,587 kg of poultry meat, edible offal and poultry preparations with a total value exceeding EUR 2 billion. It should be noted this is 19.2% more than in the analogous period of 2017. The EU countries, predominantly Germany and the UK, have remained the main customers, receiving almost 75% of our products. However, it is hard not to notice the growing role of third countries in the context of development of poultry meat exports from Poland. Promising prospects of sales appear in Asia, including Japan, South Korea and Singapore, as well as in Africa, e.g. in Ghana. Unfortunately, despite the good international position of the Polish poultry sector and its large export potential, barriers adversely affecting future expansion possibilities appear as well. Such restrictions include the price of our products which, despite being competitive on the European market, still remains higher in comparison with the offer of Brazil, the USA or Ukraine. The EU poultry stands out with its high quality and production safety guaranteed by some of the most restrictive regulations covering the entire chain of animal production, however, it is the price that plays a vital role in negotiations for many importers. Another factor limiting the competitiveness of Polish poultry worldwide is the lack of capability to send fresh poultry to remote markets, such as South-East Asia. An example of a country with capabilities for such sales is Thailand, able to provide cooled products to importers. Another unused niche is the market of small carcasses (900-1.200g), so-called grillers. An unsatisfied demand for such products occurs in many countries, particularly Muslim ones, in the Persian Gulf region. Poland could use this potential; however, this requires a whole array of changes and investments involving conversion of the current production mode, virtually along the entire supply chain. Despite the barriers inhibiting the development of certain export directions of Polish poultry, our country has achieved a high and stable position on the global market and is reinforcing it constantly. Products from Poland are valued due to their taste advantages, attractive prices – among the lowest in the EU – and quality. The meat is prepared with consideration to extremely high standards of safety, product quality, as well as animal welfare and environmental protection. The combination of all these elements makes the Polish poultry stand out on the market with a favourable quality-to-price ratio. We are also doing superbly with regard to production flexibility and possibilities to adapt cuts and joints to the expectations of specific customers. This is due, among other things, to a relatively small scale of production by individual suppliers in comparison with global standards. This issue should be stressed when promoting Polish poultry on international markets, as it allows the offer to be adapted to customer expectations and preferences. Another characteristic of Polish production is vertical integration, i.e. full control of the entire process of production and marketing of poultry meat. It makes our products stand out against other countries and definitely increases the attractiveness of Poland as a producer of high-quality poultry. Therefore, 2019 looks promising for our country with regard to development of exports and entry to new outlets, yet it also brings many challenges and uncertainties. What should the industry expect? It is worth summarizing the major events of 2018 which may considerably affect the shape of the domestic poultry sector in 2019. They included, among other things, the ongoing process of the United Kingdom leaving the European Union, known as Brexit. The UK is one of the most important recipients of Polish poultry within the EU. Leaving the EU may entail limitation of British acquisition of poultry from the community market. Under such circumstances, Poland will have to look for alternative outlets for large amounts of poultry meat which were hitherto reaching the UK. Another persistent problem in the industry is the market imbalance caused by cheaper poultry from outside the European Union. Exploiting legal loopholes, Ukraine introduces products failing to meet the EU standards, but characterized by much lower prices, to the EU market. Putting an end to this practice – unfair in our opinion – is crucial for the further functioning of the sector. This is not the only challenge faced by the domestic poultry industry. Another key issue is the search for and gradual introduction of domestic sources of feed protein as an alternative for imported soybeans, as announced by the Ministry of Agriculture and Rural Development. So far, we have gained a possibility to use GMO feeds for the next two years, but simultaneously, a provision has been included in the amended Act on Feeds, obliging the Minister of Agriculture to develop and publish the Plan of utilization of domestic protein sources and minimization of the deficit of feed protein in the feeding of animals in the area of acquisition of feed protein from domestic sources. The poultry industry is ready to continue the dialogue with the Ministry of Agriculture and to jointly search for solutions in the area of the broadly understood protein security of Poland, however, provided that the competitiveness of the Polish poultry sector will be preserved. 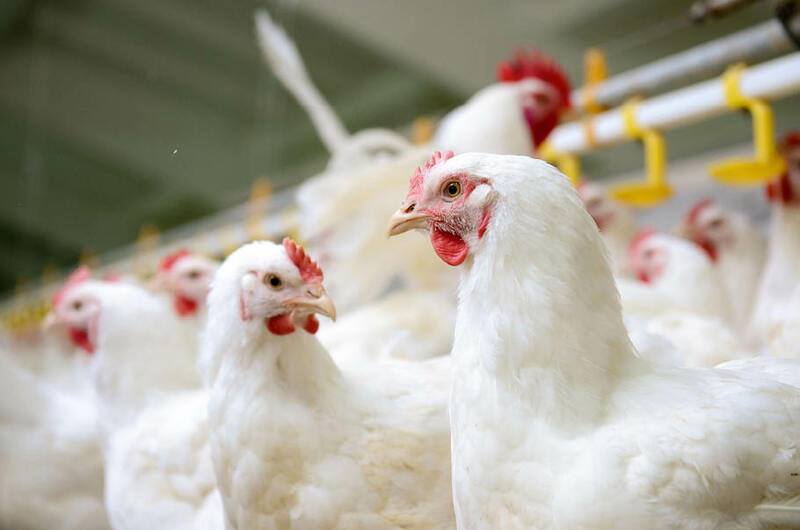 In order to maintain the strong international position of the Polish poultry industry, it is necessary to monitor the market changes and respond quickly to situations posing potential hazards to the sector. The KRD-IG, as an organization representing the interests of Polish poultry farmers and producers, is constantly making efforts aimed at protecting the industry and ensuring sustainable development thereof.